This video shows a unique lineup of ABB’s power protection solutions such as UPS, power conditioning and power switching products. 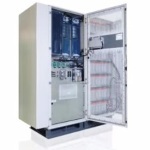 These systems provide high-quality power to continually protect data and plant processes. 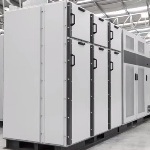 This video demonstrates the functioning of ABB’s PCS100 medium voltage UPS system developed for high-powered industry. 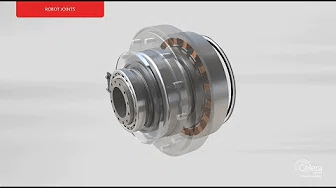 This system provides clean, efficient and reliable solution to provide complete power protection, and offers different energy storage options. 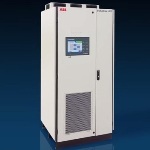 This video demonstrates the functioning of the PCS100 RPC (reactive power conditioner) system from ABB. 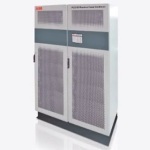 Available in load capacities of 100kVA to 2000kVA, the PCS100 RPC provides continuous reactive power correction to manage power quality problems, such as power factor, inrush generated sags, voltage imbalance and harmonics. This video displays how ABB’s PCS 100 UPS-I eliminates voltage sags, surges and short outages to provide seamless power supply to modern industrial processes. The PCS 100 UPS-I has long lifetime energy storage and has power ratings ranging from 150kVA to 3MVA. In this video, AV&R describe their new profiling system: profiles leading and trailing edges of gas turbine blades used in aerospace and energy within a 50 micron tolerance (2 thousandths of an inch). This video explains how Thomas & Betts has managed to solve power quality problems using ABB’s power solution. 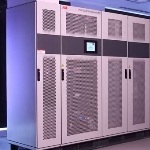 The ABB solution comprising a PCS100 industrial UPS (UPS-I), a diesel generator, breakers, and surge suppressors has helped Thomas & Betts to improve power protection for its data centers located in Memphis, Tennessee.